Have you looked at Chromebooks and/or ChromiumOS and admired how well they work with various Google applications, but been saddened by how limited the devices/OS are? Are you a Google Apps for Education school or perhaps a heavy Google user using or considering ubermix for your device software platform? If so, then have I got the add-on for you: Google Apps Icons for ubermix! The Google Apps Icons add-on adds icons to the Internet tab in ubermix for all of the services Google provides, including Gmail, Calendar, Drive, Plus, Blogger, Reader, and YouTube (see below). 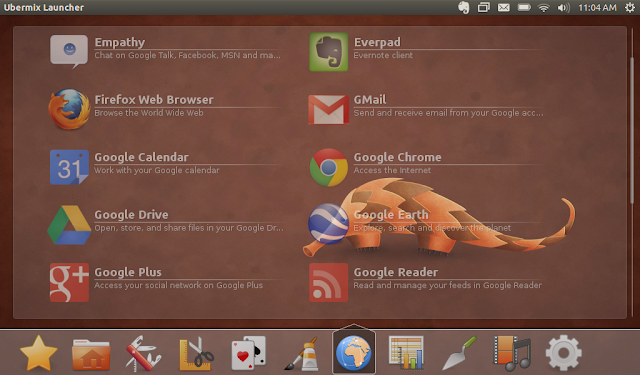 When clicked, the apps run like standalone applications, each in their own Chrome window with their own status icons and titles. Each Google application window is free of the clutter of buttons, toolbars, and status bars, giving you more room to work with each application without distraction. 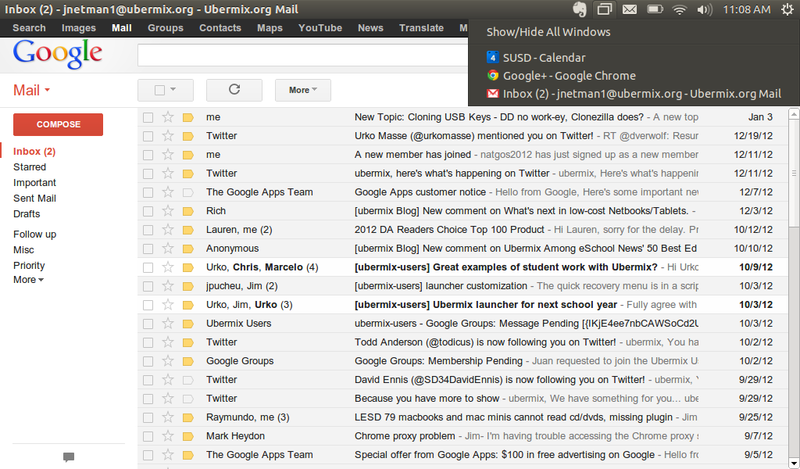 The add-on truly makes using Google apps on ubermix a joy - perhaps an even better experience than ChromeOS! If you'd like to give the Google Apps Icons add-on a try on your ubermix device(s), you can download the add-on package now at http://ubermix.org/files.html (the package will work with any version of ubermix). Once downloaded on your ubermix device, simply double-click on the package in the Downloads folder to install.